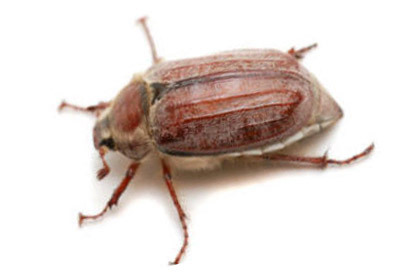 Chafer Beetle Epidemic – Creative Bricks 'n Blocks Ltd.
Don’t let the Chafer Beetle wreck your lawn..
Did you know that right now there are millions of European Chafer larvae waiting patiently, just underneath your lawn, preparing to emerge as grub in July? 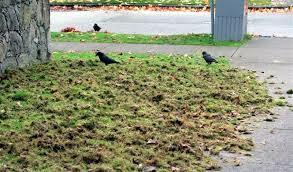 Luckily, we have crows, racoons and other animals eating them before they are able to mature into reproducing beetles. Although you may see the animals as the greatest offenders in this epidemic, they are actually helping slow down the Chafer beetle infestation. Unfortunately, this is not enough as a fully-matured female European Chafer beetle can lay anywhere from 20 – 60 eggs a season. This had resulted in an infestation that has created substantial damage to local properties. This epidemic is destroying lawns across the Greater Vancouver area, causing them to be torn up and destroyed right from the roots. Although the North American infestation of the Chafer Beetle began in the early 1940’s, the Vancouver area wasn’t much affected until 2001. The beetle was a stowaway , the eggs unknowingly secreted in gardening supplies imported from the East . These eggs were difficult to spot in comparison to larger more developed larvae and as such went unnoticed. Once these eggs had been transferred to the soil, they began to spread, starting in New Westminster and moving progressively out. This invasive species has grown exponentially each year, spreading further and further throughout the Lower Mainland. In the 1-year life cycle, the European Chafer Beetle eggs are laid a few inches below the grass following the mating period in June and July. These eggs take only 2 weeks to hatch, in which time they start feeding, causing the grass to turn yellow. The newly born Chafer grubs feed until around November, after which they move deeper into the ground, rising again in March and May for feeding. In early June the grubs migrate deeper into the ground to pupate and by late June, the beetles rise to the surface to begin their mating process. As can be seen from the pictures below, the lawns are decimated by their enchroachment and natural predators. If your lawn is struggling to survive the Chafer Beetle season, it might be time to consider eliminating the problem once and for all. Although there are many band-aids in the marketplace to reduce the insect’s population; there is one method with a 100% proven success rate! 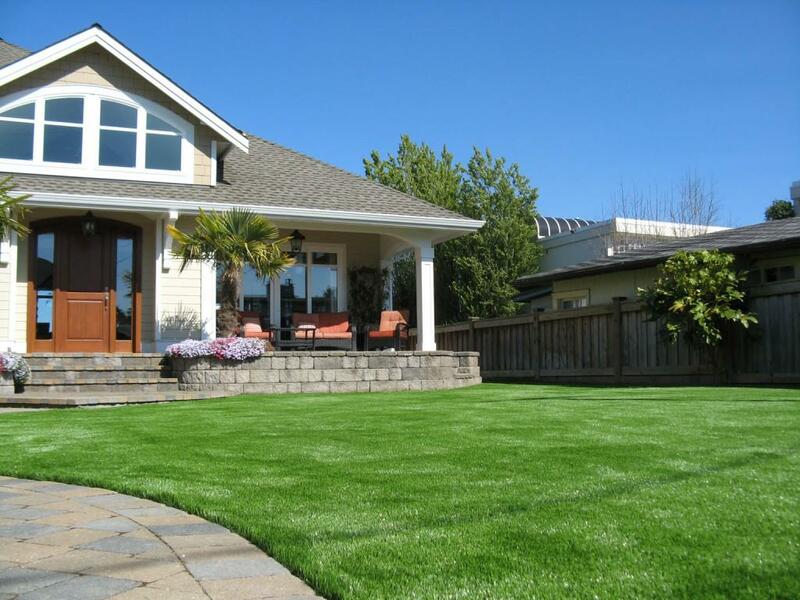 Bella Turf Artificial Grass provides you with the beauty of a lawn, without the incursion of the destructive Chafer Beetle! All of Bella Turf’s Artificial Grasses come with a European Chafer Beetle Free Guarantee. They require no chemicals or seasonal planning to prevent infestation, in-fact, they require practically no maintenance at all! 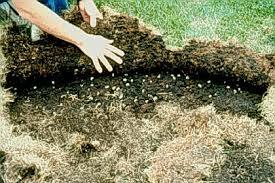 Not only do you save money in the long term; but the turf requires no watering, fertilizers or pesticides. Now, that is better for the environment! Artificial Grass has come a long way in recent years, with developments in color and texture that will make you the envy of your neighbours! They may be wondering why they never see you out there weeding and mowing but your secret is safe with us. Bella Turf is also great for shady areas where turf has a hard time growing and for high sun areas where grass tends to brown out from lack of water. On the website there are installation videos and examples of beautiful lawns and putting greens.